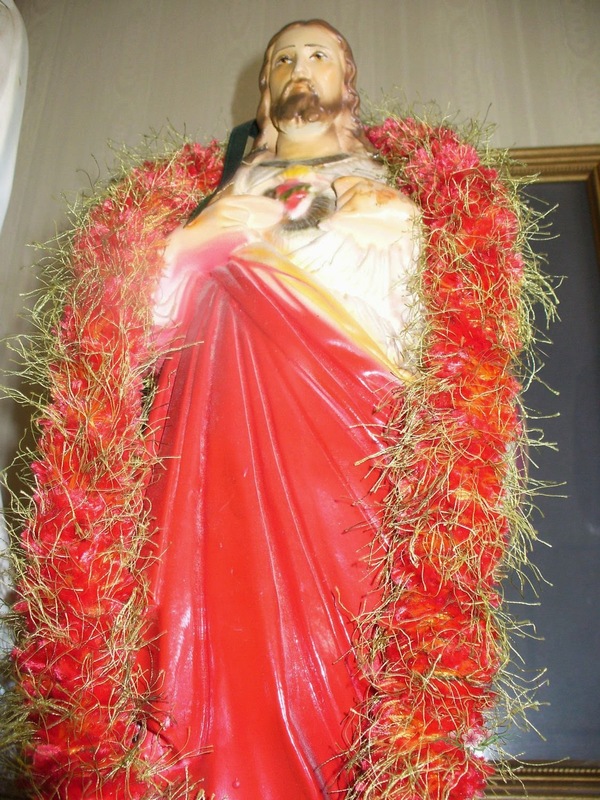 The Catholic Church traditionally dedicates the entire month of June to the Sacred Heart of Jesus. "From among all the proofs of the infinite goodness of our Savior none stands out more prominently than the fact that, as the love of the faithful grew cold, He, Divine Love Itself, gave Himself to us to be honored by a very special devotion and that the rich treasury of the Church was thrown wide open in the interests of that devotion." "You can die of a broken heart. It pumps so much blood, it enlarges so much that the heart explodes. Deep love and sorrow can cause this to happen. Jesus died of a broken heart." Very powerful meditation on the Sacred Heart of Jesus. 1. By praying special prayers to the Sacred Heart of Jesus. O GENTLEST HEART OF JESUS O Gentlest Heart of Jesus, ever present in the Blessed Sacrament, ever consumed with burning love for the poor captive souls in Purgatory, have mercy on the soul of Thy departed servant. Be not severe in Thy judgment but let some drops of Thy Precious Blood fall upon the devouring flames, and do Thou, O merciful Savior send Thy angels to conduct Thy departed servant to a place of refreshment, light and peace. Amen. Most sweet Jesus, You have bestowed on men the benefits of Your charity, but their ingratitude only responds with forgetfulness, negligence and spite. Thus here we prostrate ourselves before Your altar, inspired by the desire to make reparation through a special homage for their culpable indifference and the outrages which, in all ways, they oppress Your most loving Heart. Nevertheless, we remember that we ourselves have been guilty of unworthy conduct in the past, and filled with profound sorrow, we implore Your mercy for us first of all. By voluntary expiation, we are ready to atone for the faults we have committed, ready also to expiate for those who, led astray from the way of salvation and remaining obstinate in their infidelity, refuse to follow You, their Shepherd and chief, thus throwing off the yoke of Your law and trampling the promises of their Baptism. We would like to expiate for too many lamentable faults, making reparation for each of the following: our disorderly conduct, indecent fashions, scandalous corruption of innocent souls, profanation of Sundays and feasts, detestable blasphemies against You and against Your Saints, insults to your Vicar and to Your priests, reckless violations and odious sacrileges to the divine Sacrament of Your love, and finally the public sins of nations who revolt against the rights and authority of Your Church. If only we could erase so many offenses with our own blood! At the least we wish to make reparation to Your outraged honor. We present to You even the satisfaction that You have offered to Your Father on the Cross, and the offering You have renewed each day on the altar. We present that sacrifice to You, accompanied with all the acts of atonement made by the Most Holy Virgin Your Mother, the Saints, and by faithful Christians. We promise You with all of our hearts, with the help of Your grace, to use all our means to do penance for our past faults and those of our neighbor. By the fervor of our faith, the purity of our life, and by perfect docility to the precepts of the Gospel, we desire to atone for the indifference toward such a great love, to which belongs all charity. We also promise You to make every effort to spare You new offenses and to lead the most souls possible to follow You. Agreed, we offer You in this matter, O most good Jesus, by the intercession of the gracious Virgin Mary, Reparatrix, this spontaneous homage of expiation. Guard us until death, keeping us unshakably faithful to our duty and to Your service. Accord to us this precious gift of perseverance, which leads us finally to our native land where, with the Father and the Holy Spirit, You reign, God, forever and ever. Amen. 2. Reading Pope Pius XI's encyclical MISERENTISSIMUS REDEMPTOR, on reparation to the Sacred Heart. 3. Removing yourself from your day-to-day live and participating in a do-it-yourself retreat with Father Michael E. Gaitley's book Consoling the Heart of Jesus. 4. Doing a Holy Hour using Father Mateo Crawley-Boevey's Holy Hour books (there are 5 in the series I believe). These books are hard to find but so worth having them! 5. Planting Bleeding Heart plants in your garden. It would also be a nice idea to place a pelican statue in your garden. 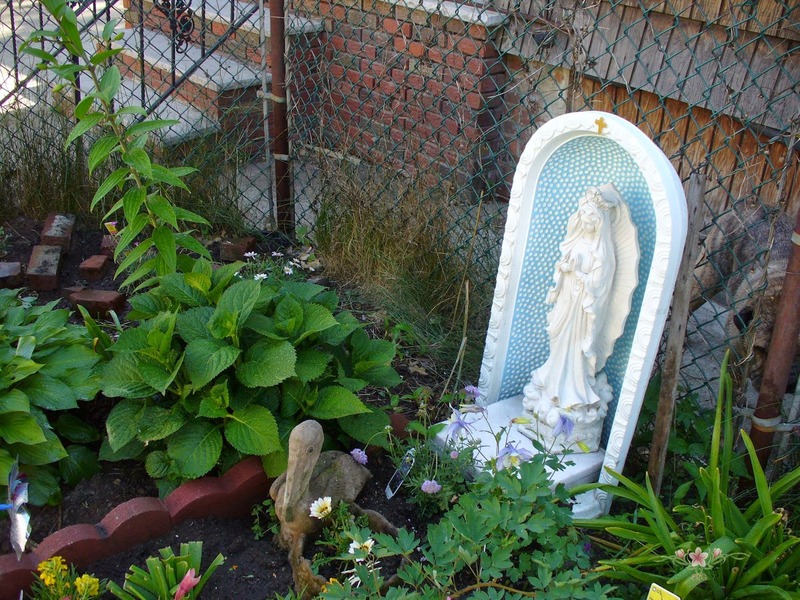 Last month was the month dedicated to Mary and one suggested idea to honor her was to plant a Mary's garden. Below you can see my parent's Mary's Garden. There next to the pelican statue are bleeding heart plants. They hadn't bloomed yet. But it is a very pretty plant with red heart shaped flowers. 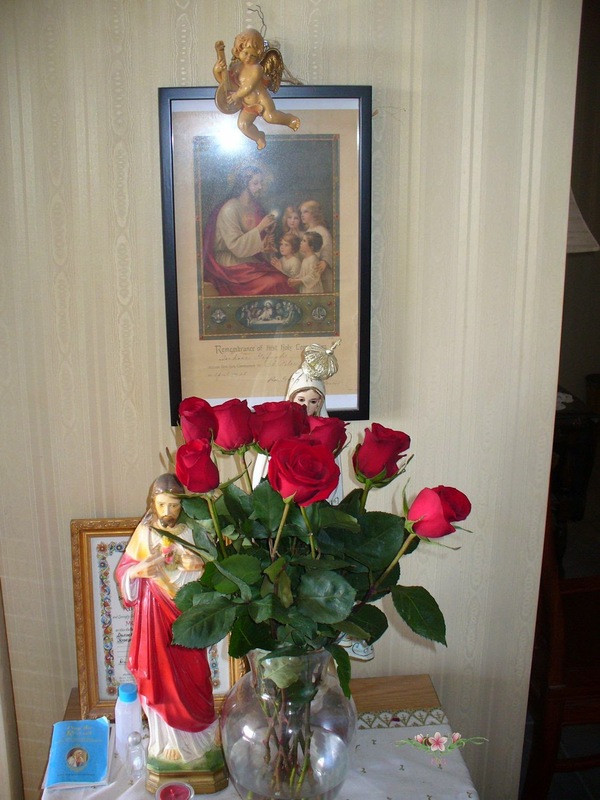 It is also a good idea to place a pelican statue as the pelican is a symbol of the Holy Eucharist. The mother pelican would pluck her breast with her beak to feed her blood to her young. 6. If you have not already done so, you can start doing the First Friday devotions. Today just happens to be First Friday. 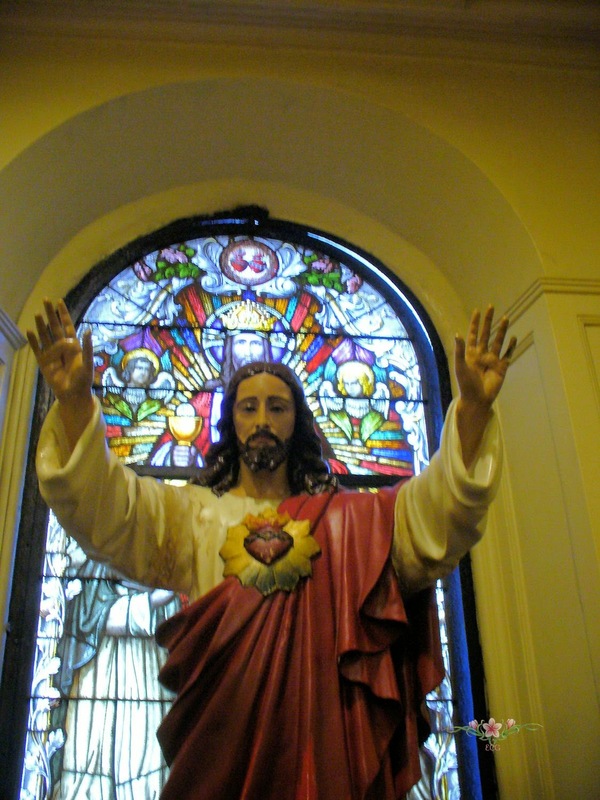 How do you honor the Sacred Heart of Jesus? Please share.